Tuesday, 23 November 2010. The main tour group went to Leptis Magna, the stunning Roman city dating from the 6th or 7th century BC, which lies 124 kilometres to the east of Tripoli. Greg and I and a small number of other passengers who had already been to Leptis Magna on one or more occasions, were extremely pleased to have the opportunity to view another of Libya's ancient ruins - Sabratha, which is also a World Heritage site. 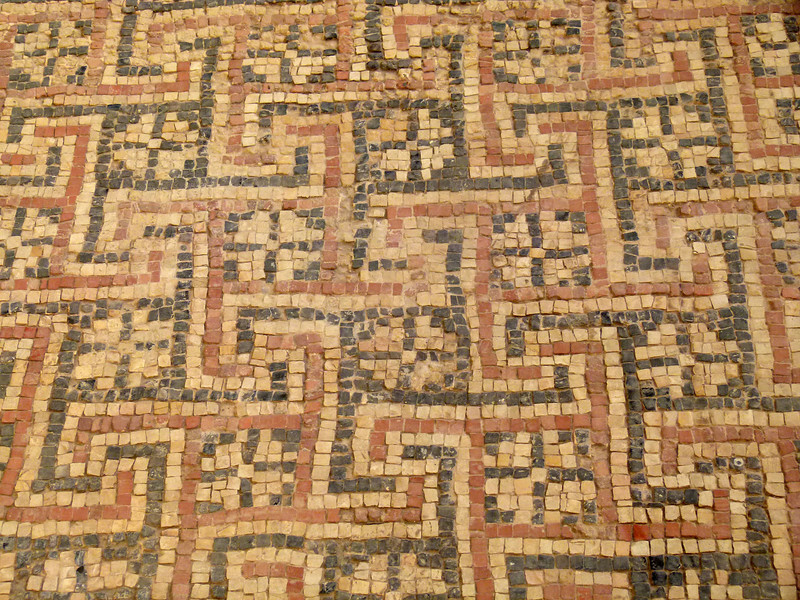 I must say I was really impressed with the mosaics, both in the museum and, on a few occasions, in situ amongst the ruins. It is just a wonderful experience to appreciate such fine artistry from so long ago. Sabratha was a Phoenician and Roman port on the North African coast , which had been excavated by Kathleen Kenyon between 1948 and 1951. Founded by the Phoenicians in the 5th century BC (I personally refuse to use the politically correct "BCE"), it quickly became a major trading port. It was annexed to the Roman world in 46 BC, later becoming one of the three cities of the Roman Tripolitania, alongside Oea and Leptis Magna. The port was an important part of the sea-routes of the western Mediterranean, but also served to connect the sea-borne trade to the overland routes used by the trans-Saharan caravans. The city enjoyed great prosperity during the early empire, and in the 2nd century AD was made a colonia. A number of bath buildings and the Antonine-period theatre survive from this period. Sacked by the Austuriani in AD 363 and the Vandals in the 5th century, eventually the city enjoyed a second period of prosperity as part of the Byzantine empire in the 6th century AD. New walls were constructed, albeit enclosing smaller areas than in earlier times. Occupation of the site ended about AD 643, when the city was taken by Arab forces.